ONI Bureau: Good Evening Readers! Here are the Evening News Bulletin on India and World by Odisha News Insight. — 9 girls go missing from Sanskar ashram shelter home in Delhi’s Dilshad Garden area. — Bihar: Police Constable killed during an exchange of fire between police and criminals in Patna. 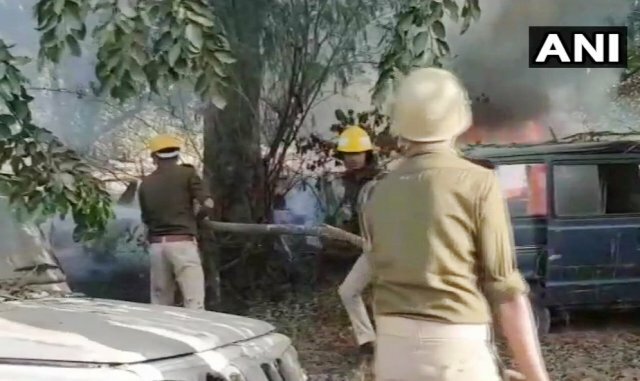 — Bulandshahr violence: 2 including police officer killed in stone pelting. — CBI files chargesheet against Delhi Minister Satyendra Jain, his wife, his business associates in connection with disproportionate assets case against him. — Delhi’s Patiala House Court discharged Delhi CM Arvind Kejriwal, six others in a 2012 case. — External Affairs Minister Sushma Swaraj departs on a two-day visit to Abu Dhabi. — Telangana Elections 2018: Rahul Gandhi and AP CM N Chandrababu Naidu at a rally in Hyderabad. — Punjab Cabinet approves new international civil terminal at Halwara in Ludhiana. — Uttar Pradesh cabinet okays 5,125 hectare land for Defence Corridor. — Punjab to set up Dera Baba Nanak Development Authority.